I made these nachos made with my own freshly-baked tortilla chips - which are SO EASEY to make!! 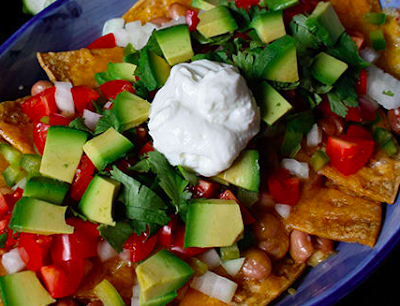 They’re topped with lots of good stuff, like pinto beans, jalapeños, tomatoes, avocados, and—of course—cheese! Add any other fresh veggies you want, like shredded lettuce or cabbage, radishes, or green onions. Brush both sides of tortillas with oil. Take a pizza cutter and cut tortillas into 4 triangles each. Arrange in a single layer on a baking sheet. Bake for 10 to 15 minutes, or until crisp. Squeeze lime over chips. Sprinkle with chili powder and salt (if desired). Arrange half of the tortilla chips in a medium baking dish. Layer with half the beans and cheese. Repeat. Bake chip mixture for 3 to 4 minutes, or until cheese melts. Top with tomatoes, onion, bell pepper, jalapeno, avocado, cilantro, and yogurt. Even if you hung up your trick-or-treating tote many full moons ago, Halloween is still a fun holiday for the conscious splurge (emphasis on conscious). Let’s face it: Most of us aren’t being honest with ourselves when it comes to “fun-size” candy. Despite being adorable, bite-sized treats can make it all too easy to indulge mindlessly. A tiny Twix with your morning coffee, a couple Snickers at 4pm when emails start piling up, and sure, why not one for the road. The biggest issue is that when we convince ourselves that fun-sized candy is so small it barely counts, we lose track of the individual bites and can wind up eating a whole candy bar or more. 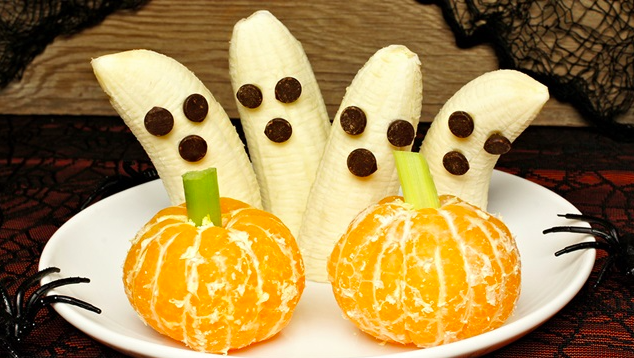 Tip: Save your wrappers on Halloween to keep yourself accountable throughout the day! I’m not the kind of person that’s going to recommend celery sticks in place of chocolate. I LOVE sweets and I LOVE chocolate! In fact, I encourage you to make a mental note of your all time favorite Halloween treat and to enjoy it during this holiday, consciously, sans guilt. Let it melt on your tongue and take in all the goodness. Eat it, enjoy it thoroughly, and then move on. Making this mental note also helps weed out the not-so-worth-it sweets—the sweets you eat because they’re there and you’re hungry, stressed or tired. In short, you’ll be better off saving up for the good stuff. This is really part of "self-care." Exercise is a TREAT for your body. You don't have to workout for hours, but just add some intensity to your workouts. Do a minute of high intensity cardio between exercise moves, or add in some extra walks around the office throughout the day. Need suggestions? Contact me. Make your own candy. 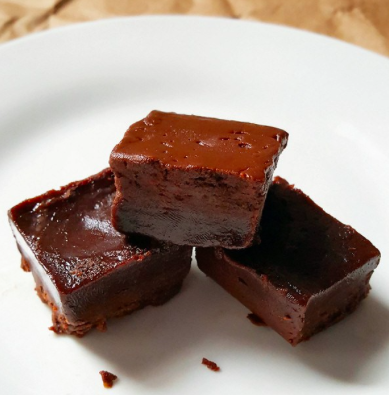 Here's my recipe for sugar free Freezer Fudge. Of course if you are indulging, I’m always going to recommend going for the highest quality options. Shakeology has helped me control my sugar cravings, and is a sweet treat to my day! When I drink my shake, I don't need to eat candy. Especially when I can drink it as a chocolate almond fudge or pumpkin pie! If you want more healthy tips, motivation and inspiration on your nutrition and fitness journey, complete my form below. Want more sweet treat recipes or motivation on your nutrition and fitness journey? Complete the form below for more info. It’s happened to all of us at one point or another. You get into a bad mood which doesn’t seem to lift or get better, and before you know it you’re in a funk and it doesn’t look like it’s going anywhere anytime soon. It may last a few hours or even a few days, so here are my top tips to help you move up the emotional scale. But before I get into that, let’s deal with those feelings that come with the funk that are less than fun. Most people who are in a funk will experience feelings of sadness, anger, frustration, hatred or something similar, and it’s okay to have those feelings. The trick with feelings is to feel them fully and not judge them. As humans, we tend to label things (including feelings) as good or bad, but actually a feeling is just a feeling. 3. Don’t judge the feeling. 4. Do something that brings joy. Now try the following to help get you out of that funk. It’s easy when you’re not feeling like yourself to get stuck in the dangerous cycle of eating junk food, but remember that food plays a huge role with mood. Eating clean, green foods not only fills your body with enzyme-rich and vitamin-fueled nutrients, but it brings vibrant positive energy and helps to improve your mental clarity, creativity overall joy and happiness. Check out my healthy, clean eats, fit recipes! Getting outside and being reacquainted with every form of life will remind you of the beauty that exists around you always. Being aware of how beautiful and how sacred life is should help to boost your mood. 10 minutes does the trick! 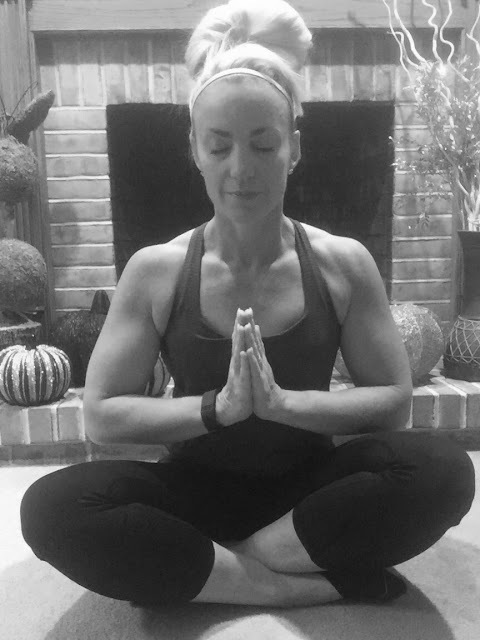 Hanging out in stillness with no one but your inner self is a surefire way to reconnect with the part of you that's always there and never changes. I practice breathing. Just one minute, once or twice a day. Listing all the things you're grateful for in your life can help you appreciate what you have and attract more of the good stuff to you. Either write a list each day or make a mental list while brushing your teeth, washing in the shower or running errands. If you write it on a piece of paper or your phone, you can use them to refer to at another time. Getting that body moving will help to release feel-good neurochemicals like serotonin, dopamine and norepinephrine to boost your mood. Spiritual and more gentle loving exercise like yoga or qigong will also help to get you back in flow. It just takes 30 minutes! 6. Spend time with people and things that you LOVE. Carve out time with your favorite people or things and indulge in doing what you truly love and are passionate about. What do you do to pull yourself out of a funk or get yourself back in the flow? Need help getting out of a funk, or need motivation? Complete my form for more info. I don't know about you, but I could live in a house made of cheese, oh, and pasta!! 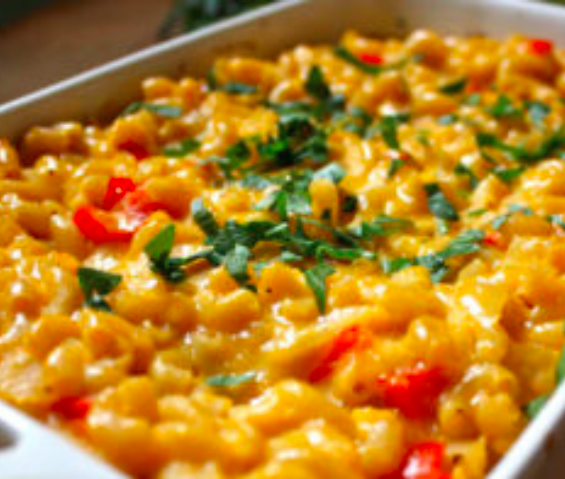 Sticking to a healthy diet does not have to mean living a life without mac and cheese! I don't sacrifice my love of food. This family friendly recipe is from the Double Time recipe booklet, and the rich and creamy macaroni and cheese casserole tastes as good as the original, but wouldn’t wreck your healthy eating! It has less than 300 calories per serving and 15 grams of protein! The recipe makes 10 servings, so it can feed a hungry family or make several servings for healthy meal prep. 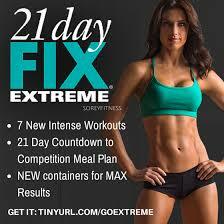 It is also compatible with the 21 Day Fix, and the portion fix meal plan. This recipe boasts two types of cheese – yes, real cheese! – sharp cheddar and Gruyere. The secret is using extra-flavorful cheeses, so a little bit goes a long way. They blend with a silky butternut squash puree to create an intensely flavorful sauce. Then, the added peppers, onions, and a sprinkling of parsley to make the dish even more tasty and nutritious. Add onion and bell peppers; cook, stirring frequently, for 4 to 6 minutes, or until onion is translucent. Set aside. 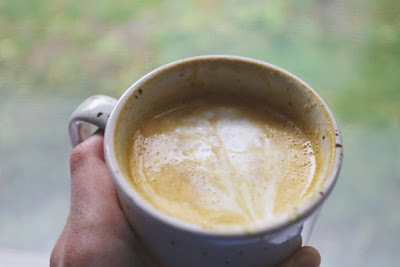 Combine squash, broth, and milk in a medium saucepan. Bring to a boil over medium-high heat. Reduce heat to medium; gently boil for 22 to 25 minutes, or until squash is tender. Place squash mixture in a blender or food processor; cover with lid and kitchen towel. Blend until smooth. Combine squash mixture, macaroni, onion mixture, yogurt, and cheeses. Season with salt and pepper if desired; mix well. 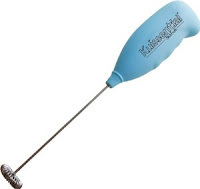 Place macaroni mixture in a 13 x 9-inch ceramic or glass baking dish that has been coated with spray. Bake for 25 to 30 minutes, or until sauce is bubbling. Want more family friendly recipes and support with your nutrition and fitness goals? Complete this form for more info. 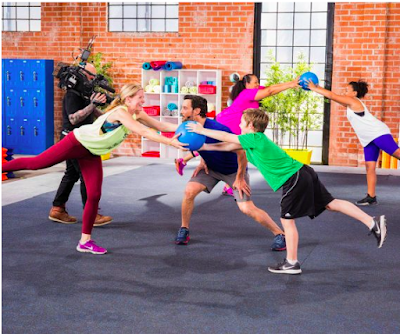 Tony Horton, the P90X guy, created a new partner workout that is perfect for the whole family! If you've been looking for kid workouts, or workouts that you can do with a partner, look no further than Double Time for an fun sweat sesh fit for two! Double Time is a fun partner workout, you can do with your spouse, child, significant other, family member or friend! 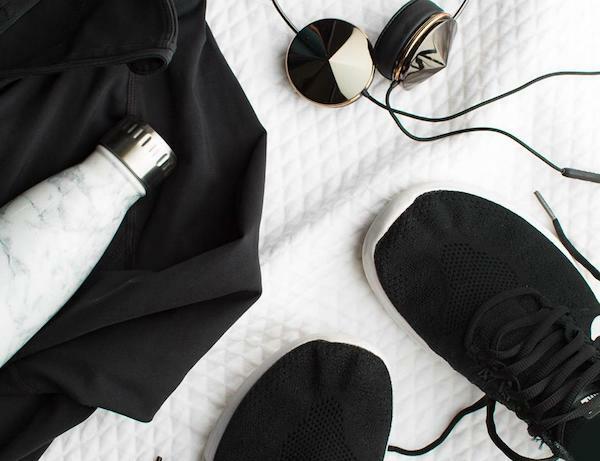 Plus, research has shown that having a workout partner keeps exercisers more accountable, and makes it more fun. My husband and I starting dating as workout buddies, going to the gym together. Now we can workout together at home and the boys can join us! I'm especially excited that this is coming out in November, as living in PA, the fall and winter weather makes it difficult to send the boys outside every day, and my boys have a ton of energy! This is a positive outlet of energy for them, and my husband too!! So, everyone can take a break from screens, and get active together. So, grab your child, spouse, sibling, friend and COMMIT TO GET FIT! It will be available Nov. 1, 2017, on Beachbody on Demand. This is like Netflix for workouts, with the ability to stream on your computer, laptop, tablet, phone, and smart TV (with Roku, or Apple TV). 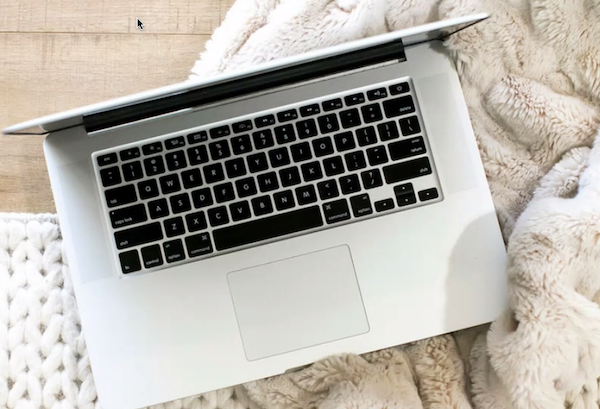 This streaming service offers 700+ workouts, so while Double Time isn't available yet, you could get started right now. And if you're looking for workouts you can do with your kids, You v2 has a kid's workout, as well as Tony Horton has one called "Tony and the Kids." If you'd like to chat about your family or your own fitness goals, complete this form below to get more info! Love loaded potato skins? This is usually a greasy bar snack, but the version below turned that grease-laden dish into a delicious appetizer that is healthy enough to eat for a meal! 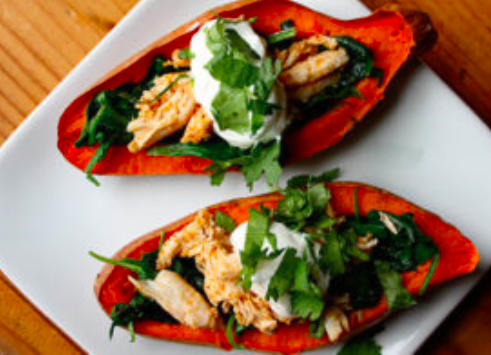 These baked sweet potato skins are topped with spinach, spiced chicken, turkey bacon, and parsley, with a dollop of Greek yogurt. It was football game day, and I wanted a healthy appetizer for the game. 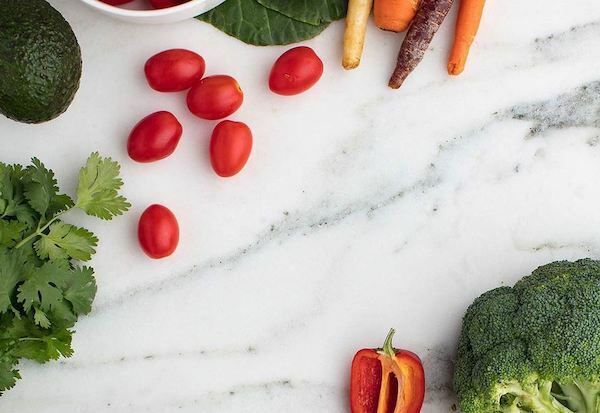 I got this recipe from 21 Day Fix creator Autumn Calabrese and her brother chef Bobby Calabrese on FIXATE, the exclusive Beachbody On Demand cooking show. While skins are baking, combine chicken and poultry (or thyme) seasoning in a small bowl; mix well. Set aside. Top each sweet potato half evenly with spinach, turkey bacon, chicken, yogurt, and parsley. I don’t know about you, but when the days start getting darker and that crisp breeze picks up, my craving for pumpkin pie, pumpkin pancakes, pumpkin spice lattes, and all the pumpkin-y goodness of fall skyrockets. Lucky for me (and hopefully for you) pumpkin treats don’t always have to be unhealthy. These Pumpkin Pie Energy bites pack all the autumnal flavor I want without the added sugar and calories I don’t. Perfect for the very real struggle of trying to maintain a healthy lifestyle amid all the holiday temptation. So why are these delicious little pumpkin balls called “energy” bites? Dates! The sweet and sticky fruit that holds all the good stuff in this recipe together is known to be a great source of energy and fiber. In addition, pumpkin’s high concentration of potassium helps replenish that important electrolyte after workouts. 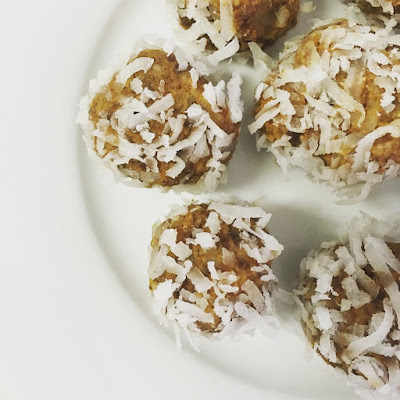 Sweetened with pure maple syrup and rolled in coconut flakes, these treats are a clean alternative to candy and cake cravings – and they won’t cause you to crash. Plus, the addition of raw pecans and hazelnut extract take the nutty and earthy flavors up a notch; because healthy doesn’t have to be boring. But maybe the best thing about these Pumpkin Pie Energy Bites is that they don’t involve any baking. You can get that pumpkin pastry flavor without turning on an oven – just a few spins around a food processor and rolling into balls and you’ve got more than a dozen sweet morsels packed with clean and healthy fall flavor. This Pumpkin Pie Energy Bites recipe is from Autumn Calabrese’s FIXATE cookbook. That might be helped by the fact that each serving includes not one, but two pieces of pumpkin goodness. And, this sweet treat doesn’t even use up those scarce and precious yellow containers, which is a major score. 21 Day Fix-ers, you know what I’m talking about! These energy bites count as one purple Portion Fix container and half of a blue container. Watch 21 Day Fix creator Autumn Calabrese and her brother, chef Bobby Calabrese make a similar version of this recipe for Pumpkin Pie Energy Bites on their healthy cooking show, FIXATE! 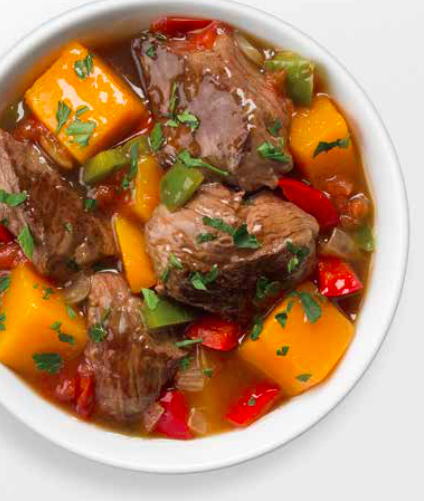 Perfect for fall with cooler temperatures approaching, this stew warms me up and tastes like comfort food, all while maintaining my 21 Day Fix Extreme nutrition plan! 1. Heat olive oil in sauce-pan over mediu-hight heat. 2. Add beef; cook, stirring frequently, for 4 to 5 minutes, or until beef is brown. 3. Add onion and bell peppers; cook, stirring frequently, for 4 to 5 minutes, or until onion is translucent. 5. Add tomatoes, broth, bay leaf, salt, and pepper. Bring to a boil. 6. Reduce heat to medium-low; cook, covered, for 40 minutes. 7. Add squash; cook, stirring occasionally, for 8 to 12 minutes, or until sauce has thickened and beef is fork-tender. 8. Remove bay leaf; serve topped with parsley. Interested in more recipes, nutrition and fitness motivation, and one on one accountability? Fill out the form below.